2017 Ringgold Quilt Expo at The Depot, Ringgold, GA.
Two guild friends and I were able to attend a local quilt show last weekend in Ringgold, Georgia, a town just south of Chattanooga, Tennessee. 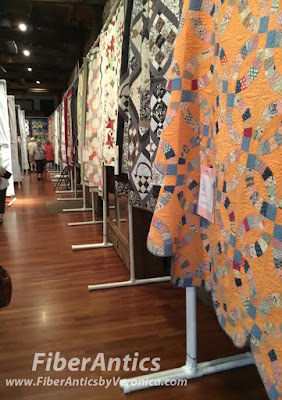 The end-of-August weather was pleasantly cooperative and the event was well attended by quilters and visitors who were treated to over 100 lovely quilts made by area quiltmakers. The show offered a menu of concurrent events— vendors, Quilts of Valor presentations, a bed turning, demos and my friend, Holly Anderson, a certified quilt appraiser, was available on Thursday for quilt appraisals and consultations. With the quilt show's theme of Civil War and Underground Railroad (the exhibit was held at the Historic Ringgold Depot), many of the quilts were traditional in design, pattern and fabric choice. 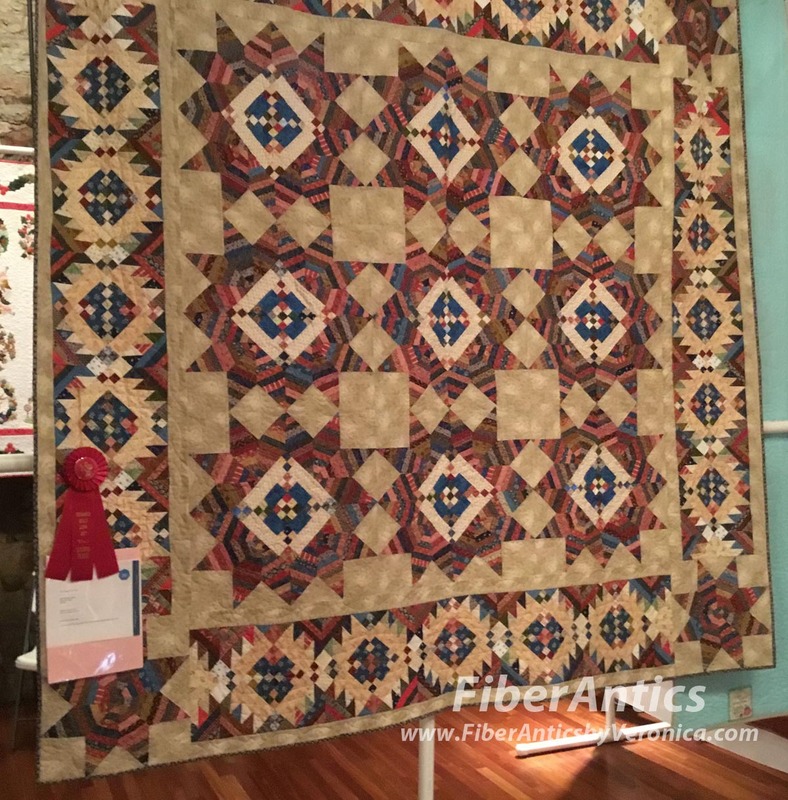 But the show was open to other categories and styles and a few modern style quilts, quilts made from fabric panels and vintage quilts were sprinkled throughout the exhibit. An exquisite Baltimore album quilt made by a local quilter and long-arm machine quilted by my friend and fellow CMQG member, Carolyn Rippee, was awarded Best of Show. 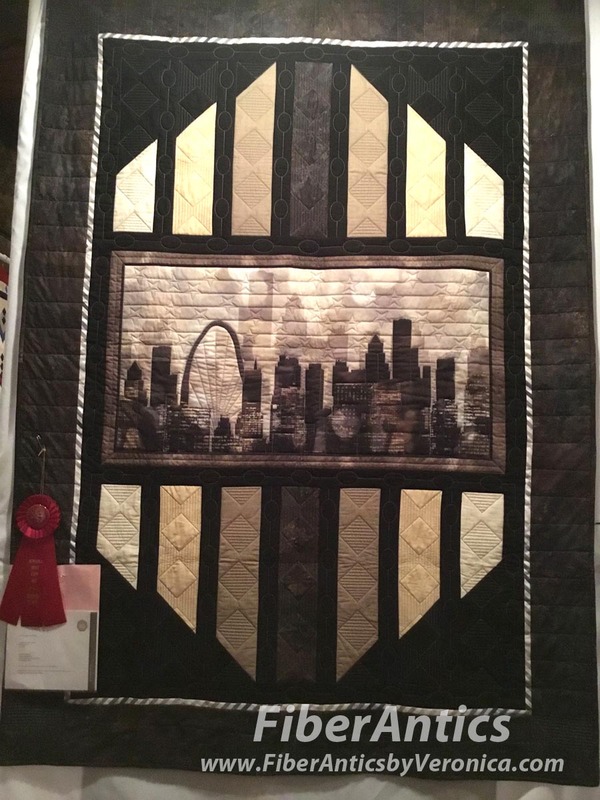 Baltimore album quilt awarded Best of Show. Many of our area quilt shops had tables at the vendor mall. These wonderful local quilt shop owners are fabulous supporters of the quilting community! 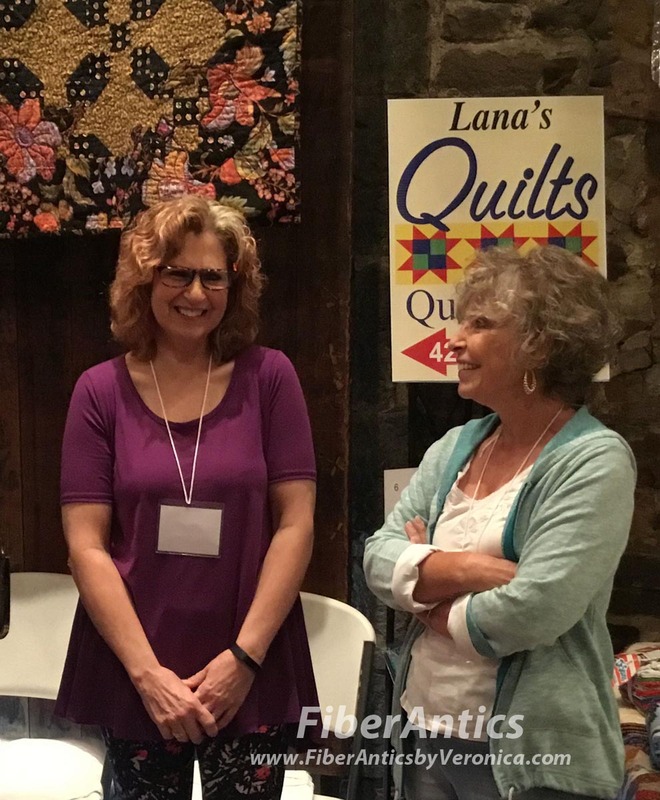 Lana Masengill (left) of Lana's Quilts and Sew Much More, Cleveland, TN. with helpers Peggy (left) and Katie. 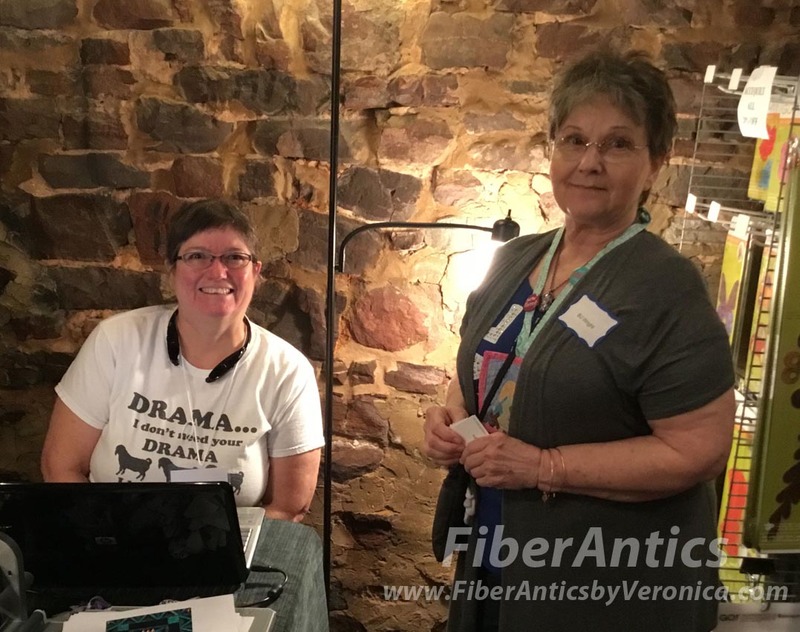 Jacki Cory teaches classes at Old Woolen Mill studio in Cleveland, TN. 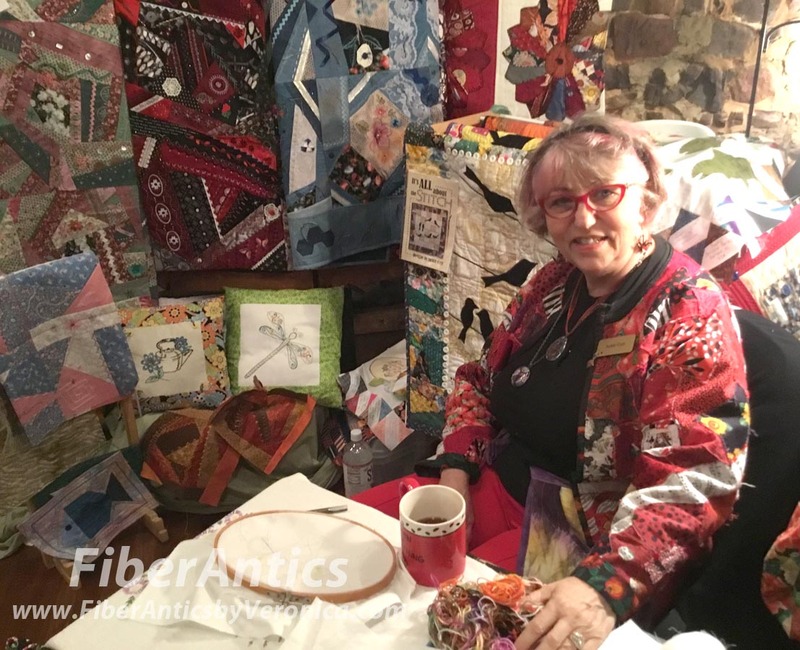 and BJ Wright, the quilt show's Volunteer Coordinator. 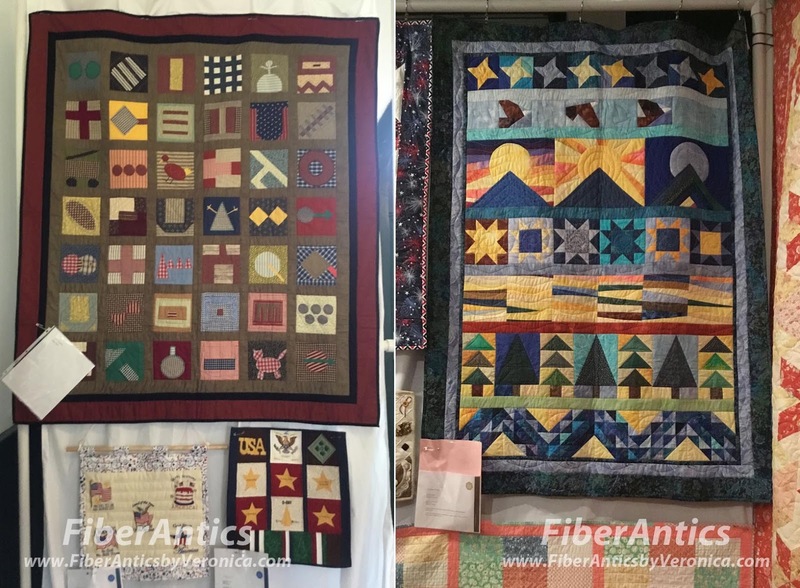 Here are a few of the quilts of which I was able to get a picture. (If anyone knows their makers, please leave a comment and I'll fill in the captions.) 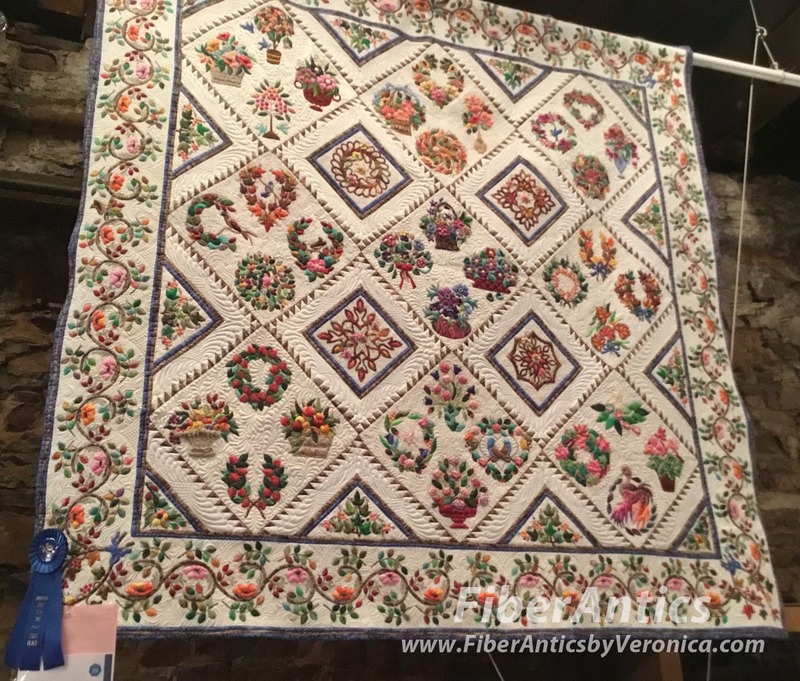 The fabric colors and values in this scrappy one were wonderful. This one spoke to me. 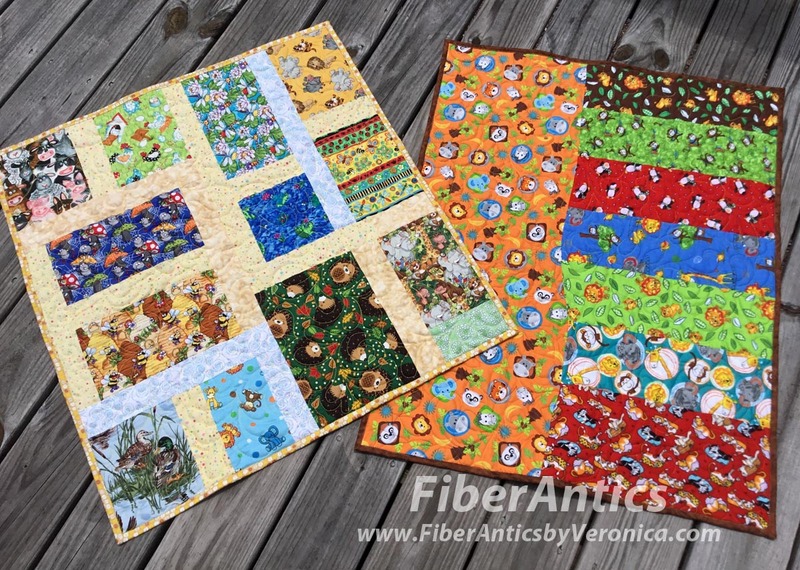 I love the juxtaposition of the classic hatchet block patchwork with a fusible applique border. Contemporary Broderie perse! 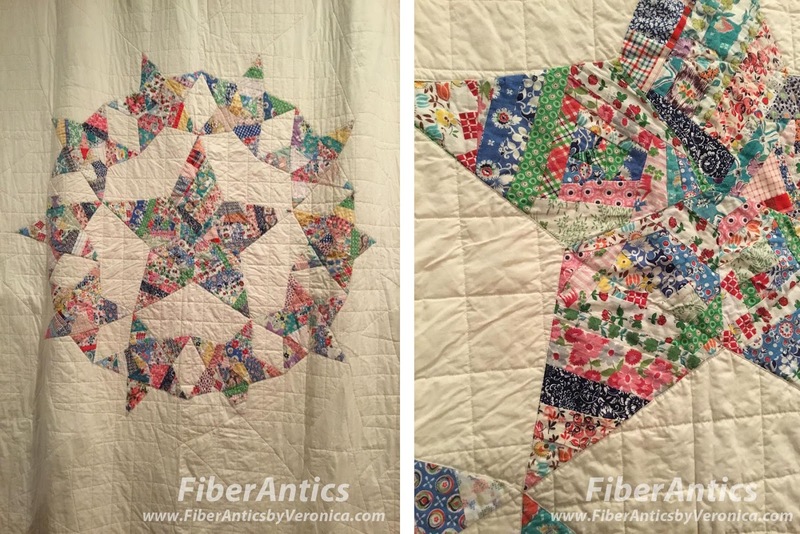 Patchwork with an applique border. 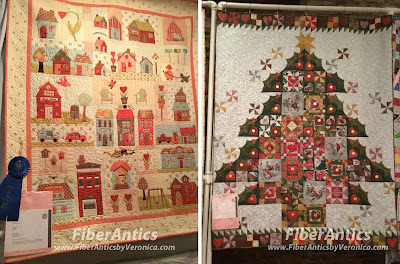 House quilt and a holiday quilt. 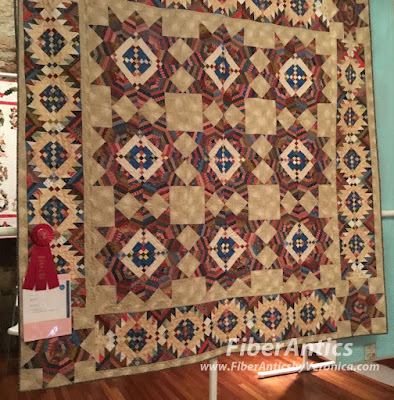 This contemporary quilt incorporates a panel. Underground Railroad (left) and a row quilt. Variation on a Bethlehem or Lone Star pattern. 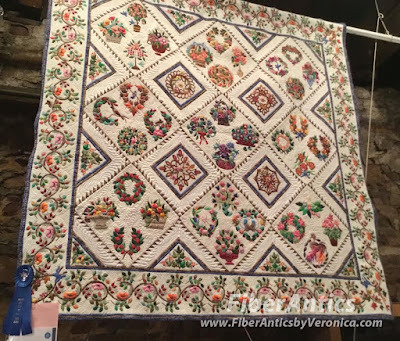 This one reminded me of Mary Kerr and her vintage-with-a-twist method of patchwork. 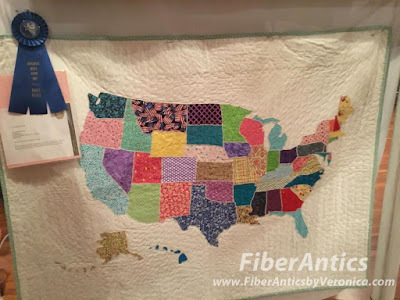 Applique map of the United States by Anna McDonald (age 12) or Ringgold, GA. 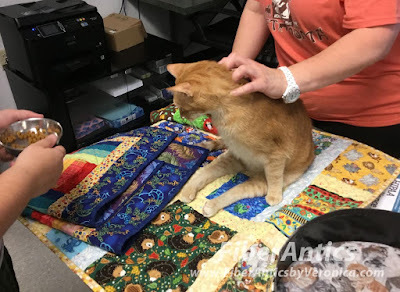 There was also the opportunity for anyone to take a seat at the frame and hand quilt this quilt-in-progress. These vintage blocks were found and pieced into a top specifically for this hands-on experience. Hand quilting a vintage quilt top at a quilting frame. 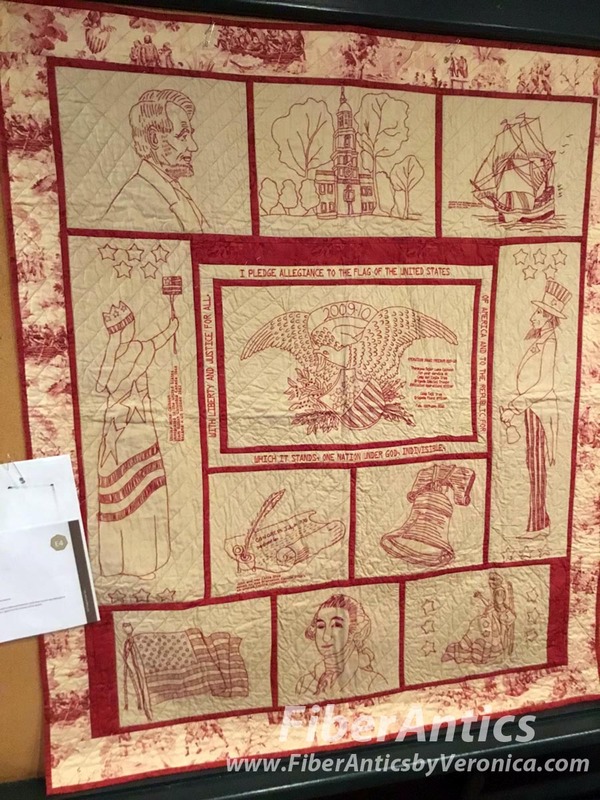 Whomever participated in this hand quilting activity had their name submitted into a jar for a chance to win the quilt. What a wonderful prize that would be. 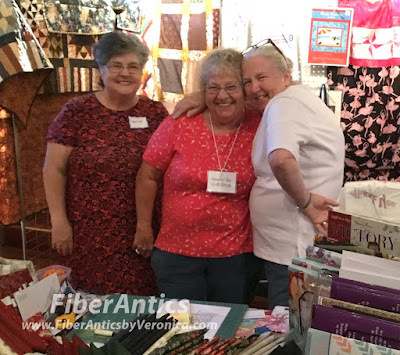 For a first-time quilting event, the hard work of the volunteers, participants and sponsors paid off and it was a lovely showing of work by area quiltmakers. Any suggestions or ideas for making this show bigger/better/bolder for next year, let me know and I'll pass along the feedback. The lightning stitch, or lightning bolt stitch. I knew of this stitch. I've heard it referenced many times in tutorials and TV programs about sewing with knit fabrics. 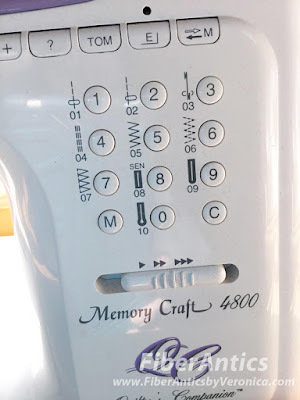 I just never remembered to use it when I had a knit project under the needle... until recently. The Lightning Bolt stitch is great for sewing knits. I had a knit top already cut out just waiting for some sewing time. 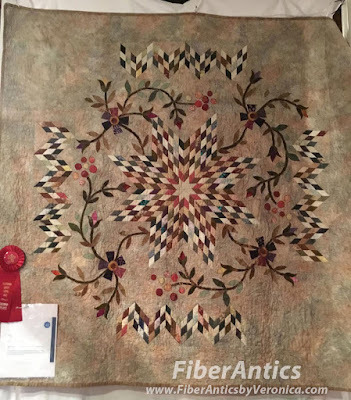 It's made from one of Art Gallery Fabrics' solid color knits (one of the fabric companies I rep). The color is orange creamsicle. I've sewn several long and short sleeve tops with AGF knits and my collection continues to grow. Knit top in orange creamsicle by Art Gallery Fabrics. These knit tops are soft, comfortable, wash up well and are easy to pack for traveling. 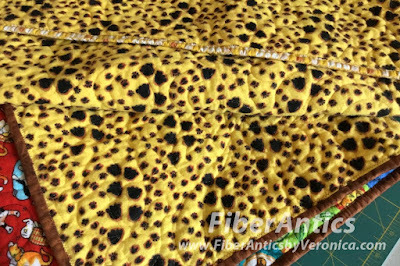 This cotton fabric has a wee bit (5%) of spandex in it which gives it stability and memory... and makes it easy to sew. Decorative stitching on yarn-dyed woven fabrics. Lately, I've been immersed with stitching on yarn-dyed wovens from Diamond Textiles (another fabric company I rep). This project features decorative machine stitching on 4-patch blocks. 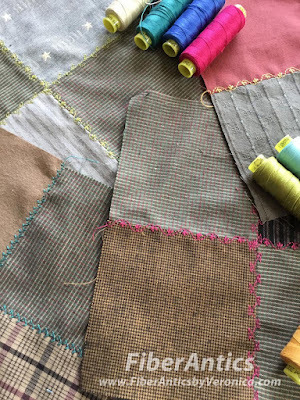 It's an exercise in color and contrast—thread color vs. stitch vs. fabric color and pattern, and how each plays off the other. It also got me using the myriad of decorative stitches that are built into my sewing machine again. (We just don't use these stitch beauties enough!) While experimenting with stitch selections, I noticed stitch #17 on my machine. Behold! The lightning bolt stitch! So my pre-cut knit top was an opportunity to try out stitch #17—the lighting bolt stitch. 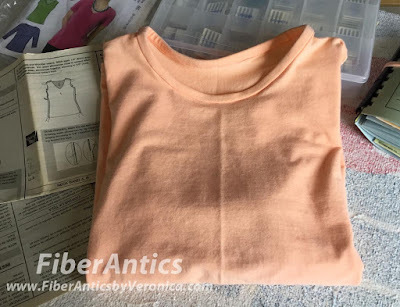 I used this stitch for the armhole, side and shoulder seams. 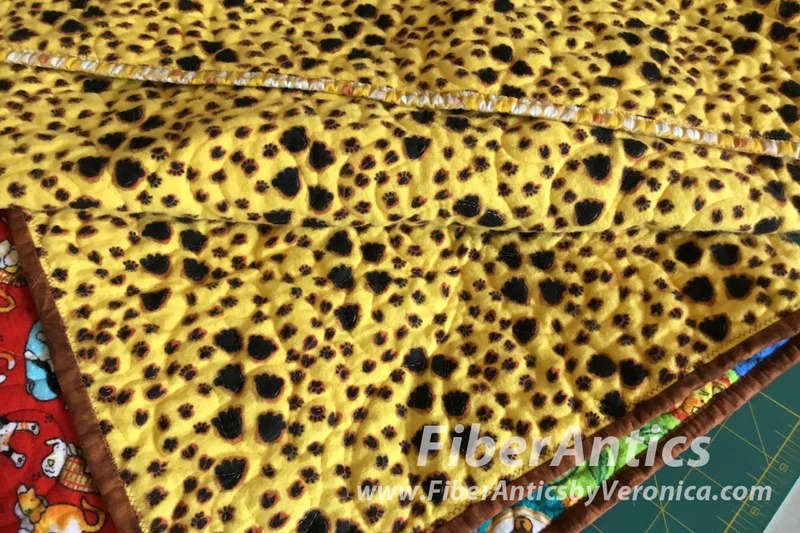 Then, the seam allowances were edge finished on the serger for a neater inside. 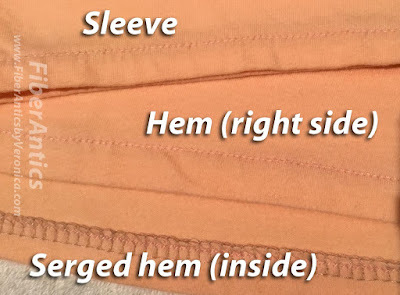 The bottom hem and the sleeve hems were serged and turned it under once. 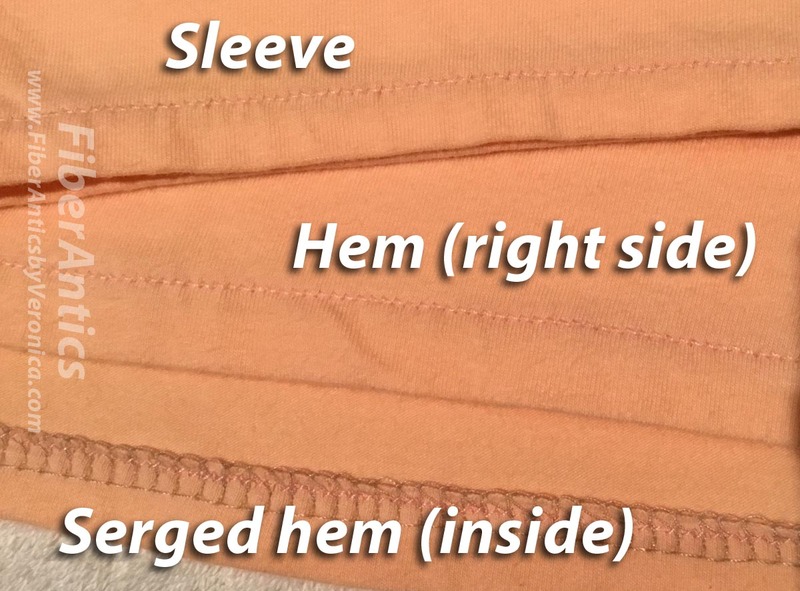 From the right side of the work, the hems were sewn down by machine using the lightning stitch. The bottom hem has a fusible tricot strip inside to keep it from rolling. Using the lighting stitch on a knit top. The lightning stitch takes a bit longer to sew because it goes forward and back as it stitches. But it is neat, strong and still allows the fabric to stretch without the stitches popping. I think I like it better than a small zigzag (or wobble stitch) that I had been using. It has a more polished, finished look. Finished knit T-shirt ready to wear. 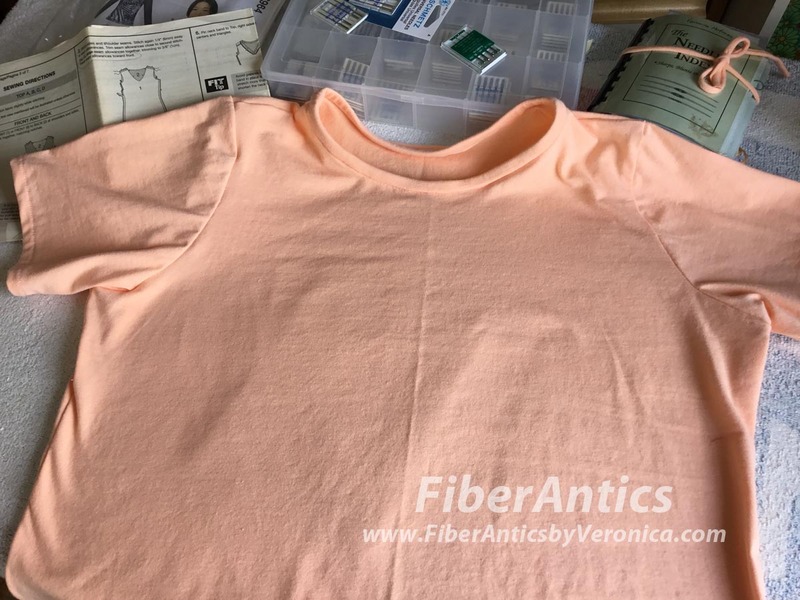 Another knit top for my wardrobe and another stitch experience added to my garment sewing skill set. Good ol' stitch #17 did a good job for me. Don't wait for the lightning bolt to hit you in the head—try this stitch on your next knit project. The Choo Choo Quilters had a very productive Cuddle Quilt workshop yesterday. Quilt tops, backing fabrics and batting ready for the group spray basting session. 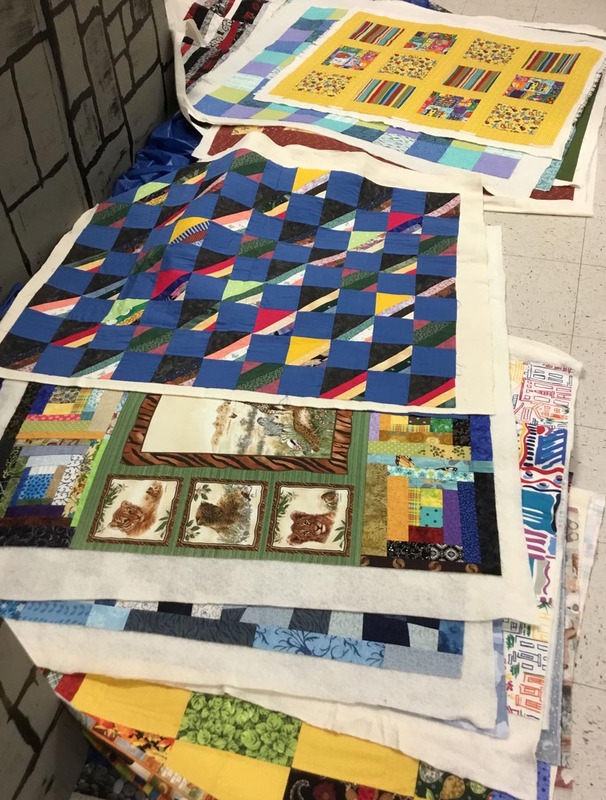 This annual workshop is a wonderful opportunity to spend the day with a group of generous and talented women from my guild while we make small lap size quilts for our community service recipient organization, the Chambliss Center for Children . 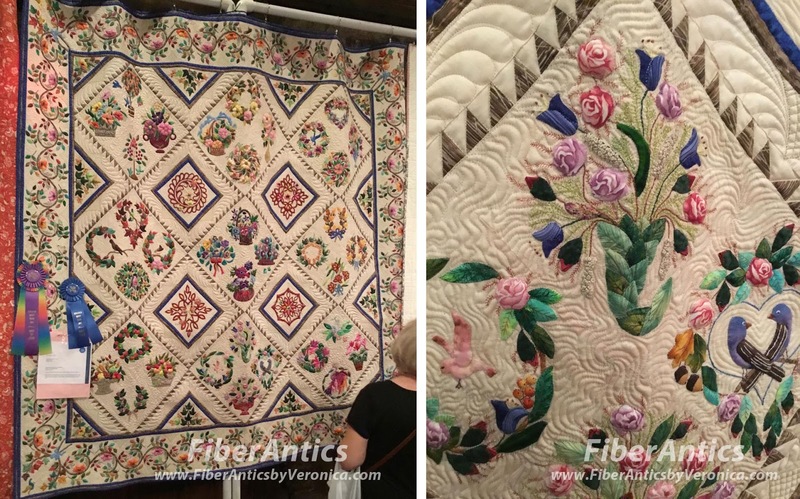 As for the quiltmaking process, one of the most expeditious activities to take advantage of at this workshop is a spray basting session. Details about how we accomplish this are in this blog post. 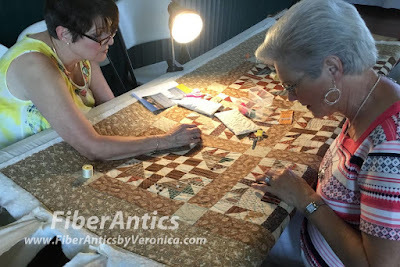 Ginny (left) and Linda spray basting. 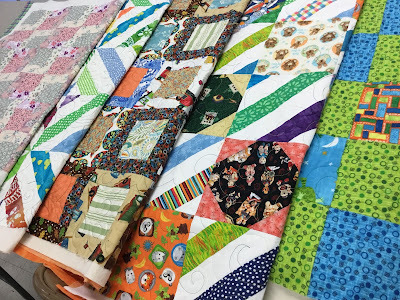 Basted quilts at the Choo Choo Cuddle Quilt workshop. Three tops made with blocks from the Making Do program. One top from blocks made at last year's Cuddle Quilt workshop. One improv scrap quilt top. One top featuring a panel. And one sample top from a fabric line called Bugalicious. During the 7-hour workshop, 45 quilt tops were spray basted by our dedicated quiltmakers. An amazing accomplishment! 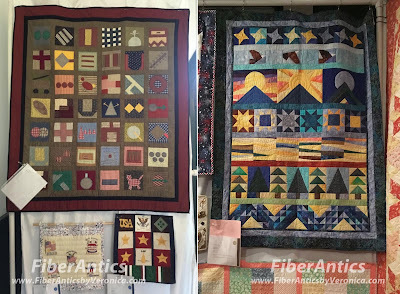 This was nearly double our first record of 27 quilts back in 2011. 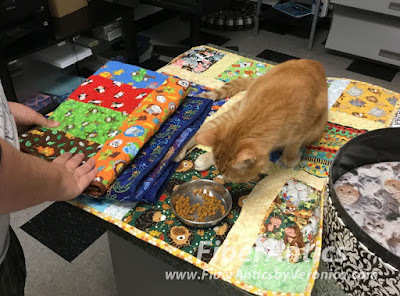 My friend and fellow guild member, Ginny, enjoys the binding process. 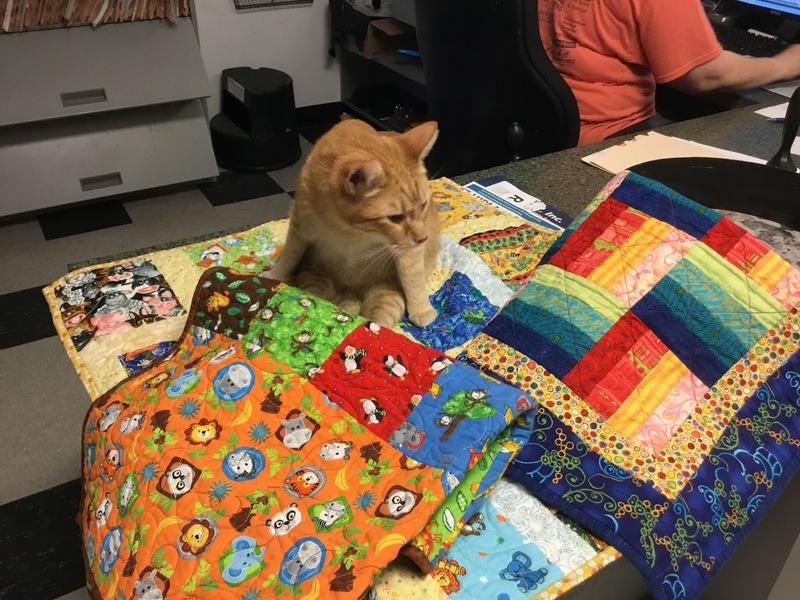 She had offered to bind cuddle quilts if I would quilt them. (She attached the binding to this cowboy cuddle quilt for me.) 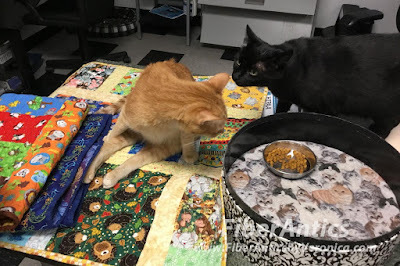 So, in addition to my quilt tops, I brought an extension table for my sewing machine with the plan to free-motion quilt as many basted tops as possible for her. 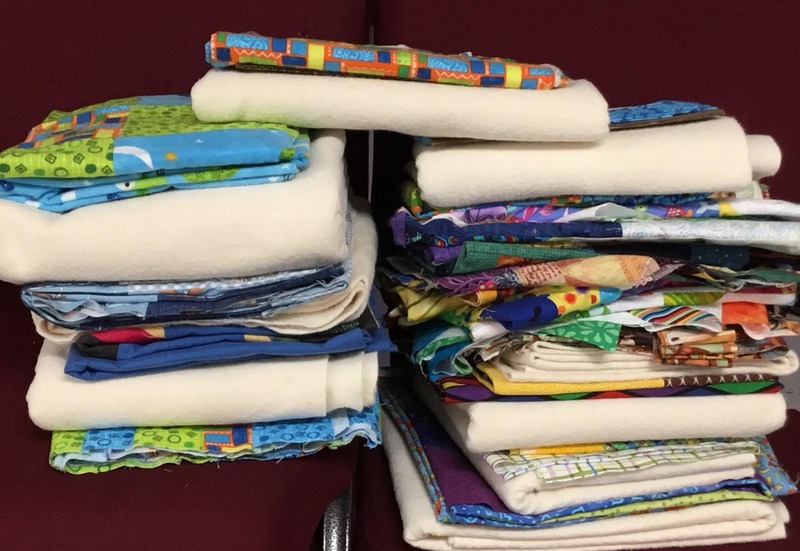 Cuddle quilts ready for binding. 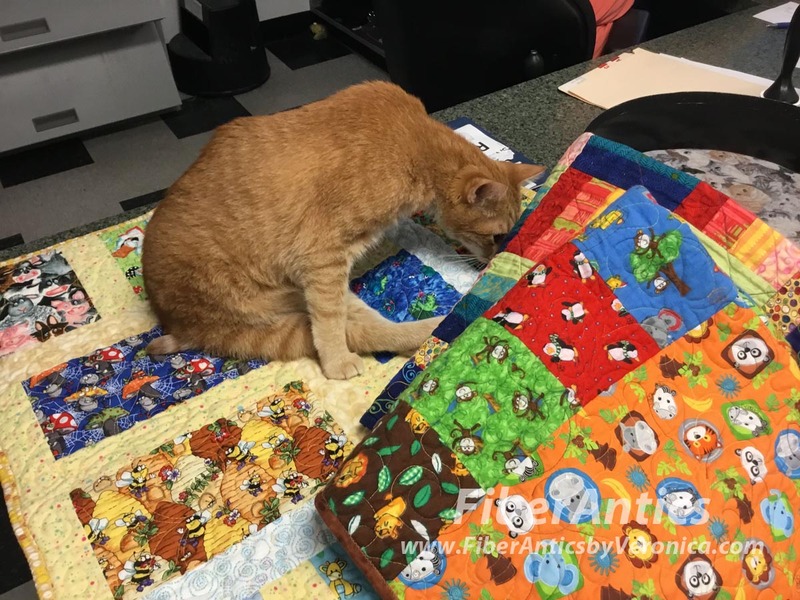 By 3 pm, I had free-motion quilted 5 cuddle quilts which I turned over to Ginny for binding. At the end of the workshop, however, I still took home 5 spray basted quilt sandwiches from the 7 tops I brought in. "A quilter brings in 7 quilt tops for basting, then quilts 5 basted quilts while at a workshop. 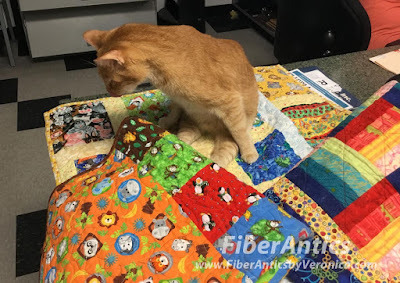 If said quilter gives 5 quilts to another quilter to bind, how is it that I still brought home 5 quilts to quilt?" 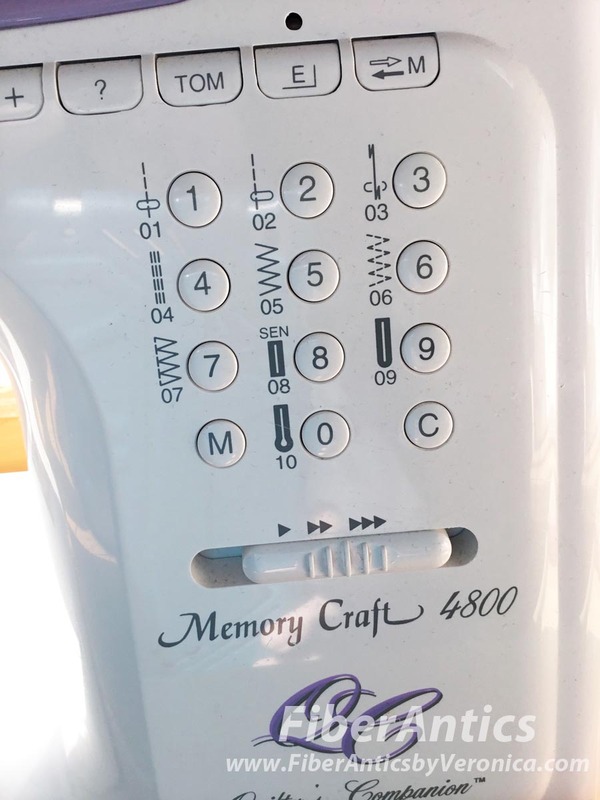 I guess this is "Cuddle Quilt Math." 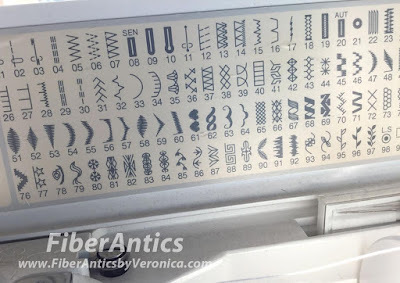 How often do you use those built-in stitches that come with your sewing machine? Probably not often. The vast majority of the time we use the straight stitch for piecing, quilting and sewing seams on garments, accessories and other items. 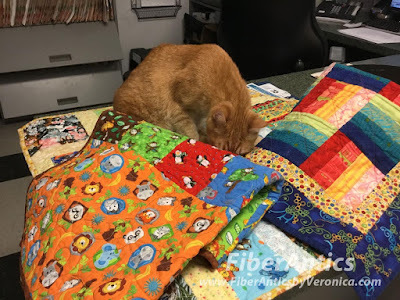 I also use the straight stitch for machine sewn bindings—especially for bindings on charity quilts and sometimes on shop samples. In using up random scraps (my theme for this year it seems) for a few kitty quilts, I decided to use a different built-in stitch on the bindings this time—the built-in zigzag. Stitch #05 is the "normal" zigzag stitch on my portable sewing machine. I have a Janome. For the first machine sewn binding, I thought I'd give #07 a go. 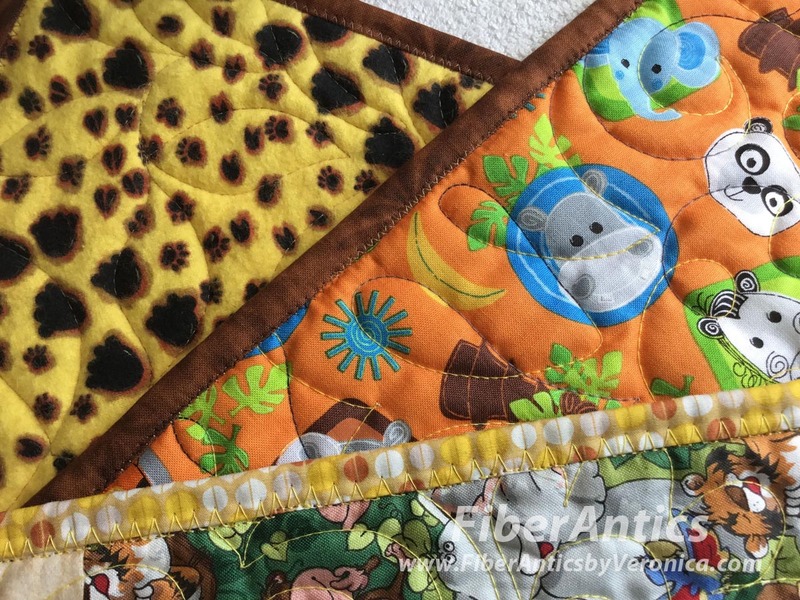 This is a multi-step stitch that incorporates a zigzag and straight stitches. Working from the front of the quilt, I aligned the straight stitch part of this stitch to drop to the left of the binding—in the ditch. 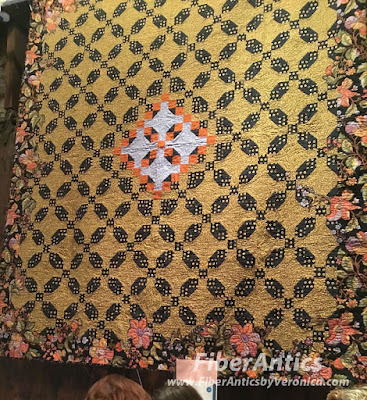 The "zig" (right swing of the needle) went into the binding, and the "zag" (left swing of the needle) went back into the ditch or body of the quilt. This multi-step zigzag stitch was quite successful. 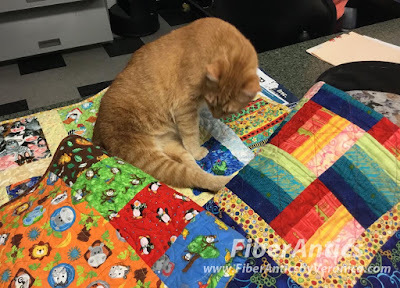 Being a charity quilt that gets washed frequently, I think it will be a bit more secure and longer-lasting (although machine binding holds up quite well anyway). Machine sewn bindings using built-in zigzag stitches. For the second quilt's binding, I used the basic #05 zigzag and reduced the stitch width. The zigzag straddled the edge of the binding. 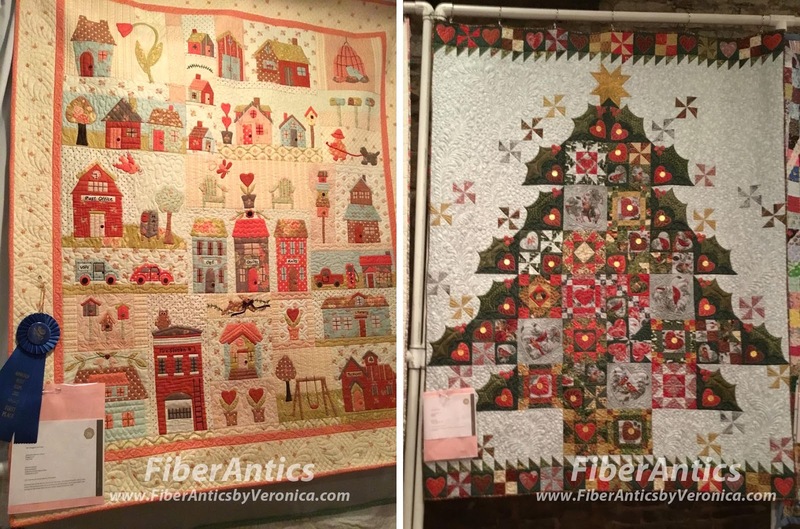 Left: 26.5" x 29" Right: 25" x 31.5"
The quilt backings are flannel with a design that looks like paw prints... cute, soft and fuzzy like the kitties. 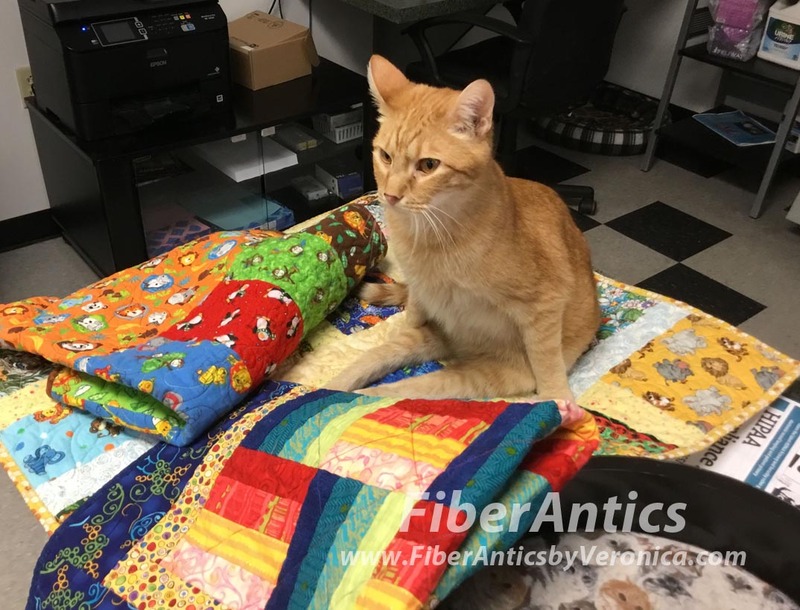 Kitty cuddle quilts have flannel backing fabrics. My guild's Cuddle Quilt workshop is in two weeks. 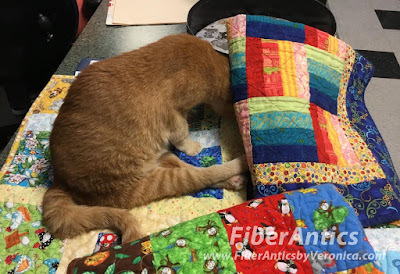 I'll have to try other built-in stitches on a few of these quilts. My machine—and probably yours, too—comes with a variety of them! 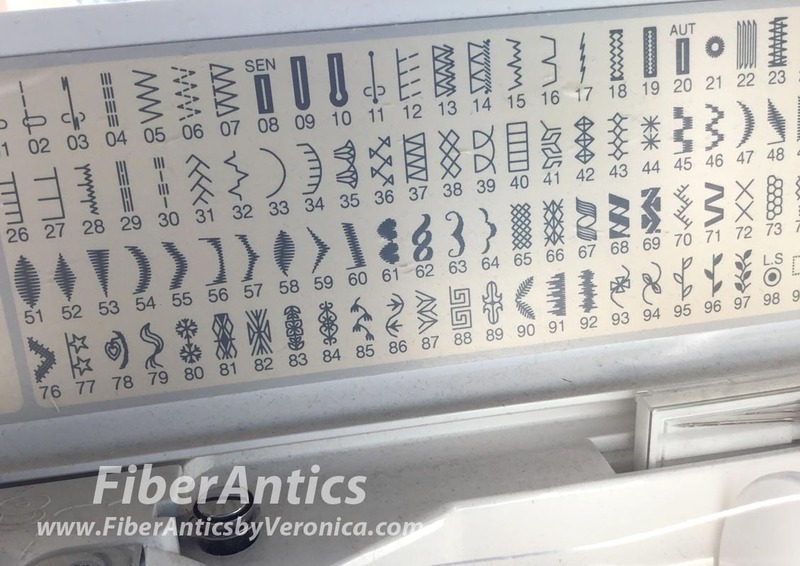 Decorative built-in stitches that come with sewing machines.